It is a suite of space-themed photoshop plugins from Flaming Pear: Glitterato, Lunacel, and Solarcel. I was going to recommend them before in this thread, but hesitated because they aren't really "Carrara". I am going for it. Headed to their purchase page as soon as I finish typing here! Thanks Holly! 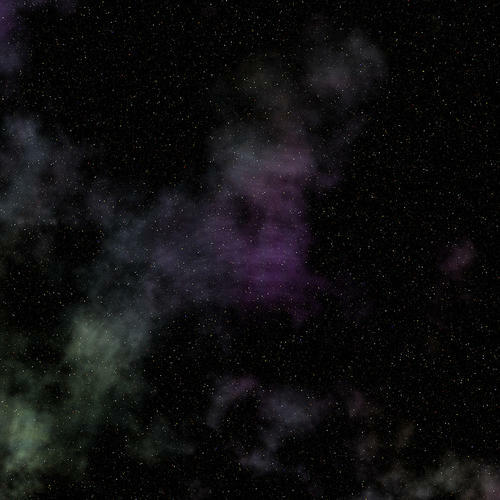 hmm you can do nebulas with volumetrics in Bryce and make some nice backdrops. Those are some nice nebulae, Rareth! Cheers all... I love this thread! Just tried out LunarCell. OMFSM!! Holly, many thanks for mentioning this software! Wow!!!!1!!!eleven1!!factorial!! EDIT: There! At least I got the LunarCell image to work. Will try to get a Glitterato image up too. 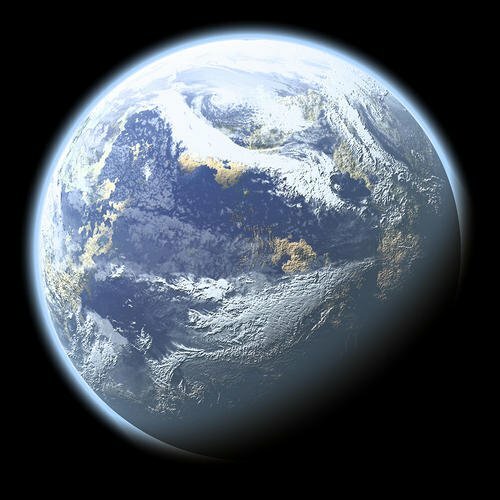 Yeah, the quality and ease of Lunarcel makes every other method seem ridiculous..., and the fact you can save your planet and later render out the maps for 3D... You really don't need another tool for planets. Ever. I was going to ask about this - is there a way to easily wrap the Lunarcel image around a sphere? Did I miss something (likely) in my trembling excitement of experimenting with my toys? Agreed. Some interesting effects but sitting beside its sibling just isn't fair. ;) It definitely doesn't stand a chance against your own sun shader tutorial work. Will need to experiment here. 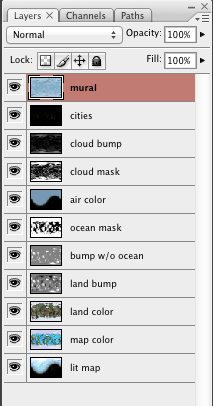 BTW, I grabbed Filter Forge for PhotoShop too. 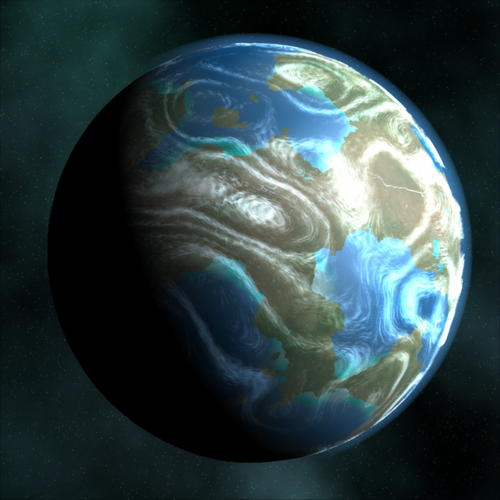 It does seamless stuff and I found a nebulae filter for it. I haven't yet compared outputs from the two. 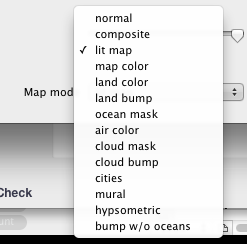 Or just hit the PSD button and it exports all the layers into a PSD document. You'll have to sort it out from there in Carrara. Yes, step 1 is to make your photoshop document ratio 2:1...etc. I do like those last 2 pics, but it got me thinking.. What if you layered it with a Fresnel shader, (for instance ShaderOps Fake Fresnel, or the one in Shoestring) such that the edge would trail off instead of being sharp. Then more hazy near the edge, where it is a near tangent to the ground, and plows through a few hundred miles of dense air. 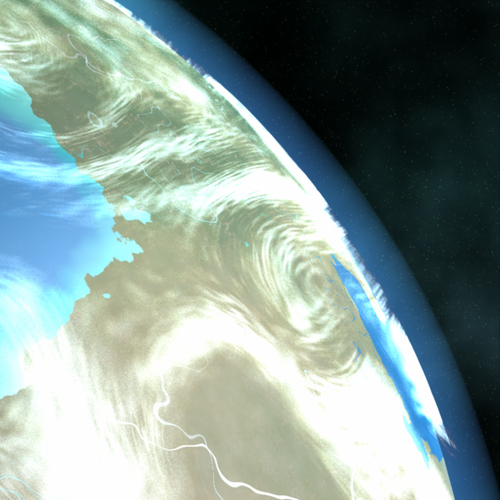 Then back to 100% transparent at the top of the atmosphere. 75% of the atmosphere is in the bottom 6 miles. The remainder extends up to 60 miles. True, but that also creates the hard edge, which is what I was trying to get away from. Maybe you don't need Primivol for the blue haze, just use it for the clouds. Maybe you don't need Primivol for the blue haze, just use it for the clouds. 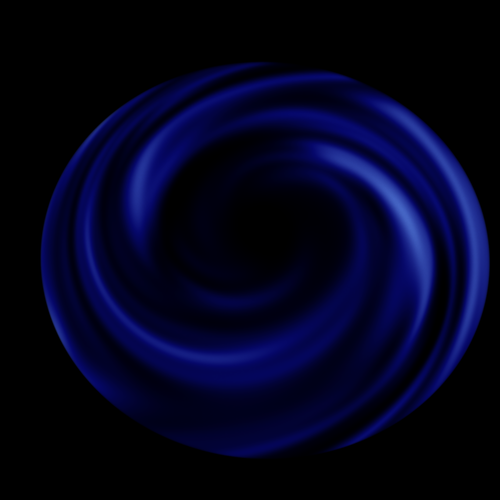 I'm not sure I made the shader correctly...but this isn't too bad for version 1.0. 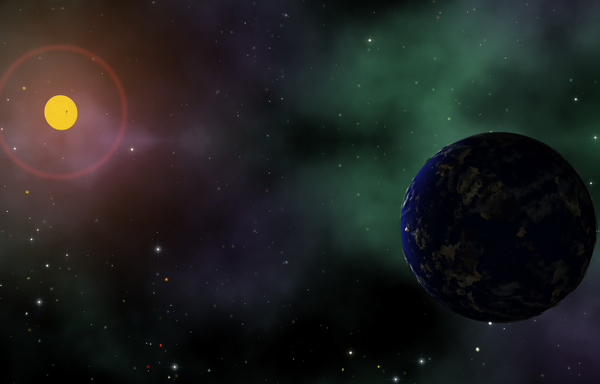 I would definitely like to add Holly's procedural sun shader as a light source to this. I think that looks pretty good. If I would change anything, it would be the water. At first I thought it was the grayish color, but the more I look at it, I think you need to add some highlight/shininess to it. 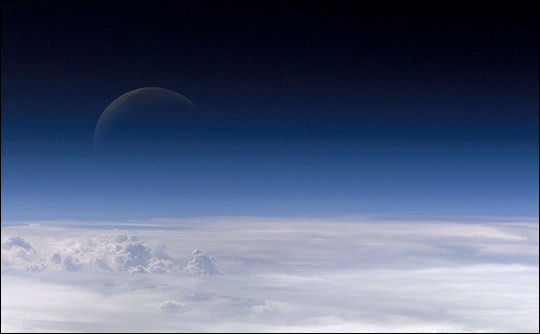 I was also wondering if the clouds are on the same sphere as the planet surface? The clouds were in a layer list initially. 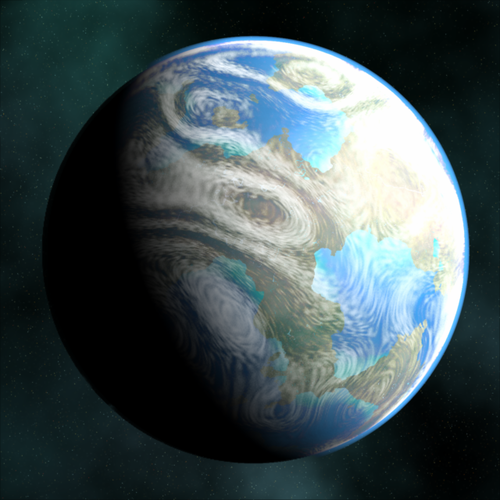 I have a newer version with a second, slightly larger sphere for the clouds. 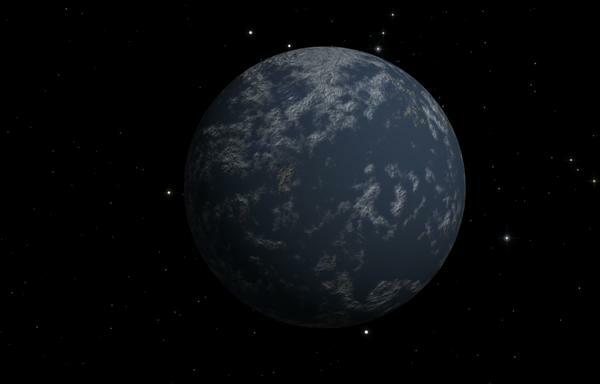 I think Holly's planet still looks better though; there is a clear atmosphere there (Primivol?). 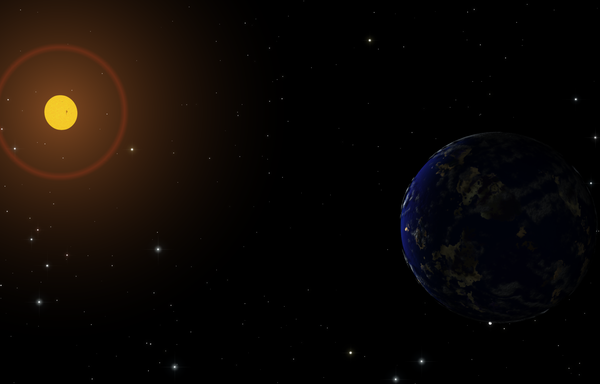 Then I wanted to use Holly's photoreal sun shader...so I made another newer version. The second image here uses the Flaming Pear Glitterato plug-in to create a nebula. I simply put that on the scene's background. All in all, it looks pretty good but I think I would prefer it to appear light years in the distance. Will probably need some PhotoShop work for that. Not sure if you're still working on rings evil but I saw a clip on NASA's website where they talk about the Hubble telescope and exoplanets. 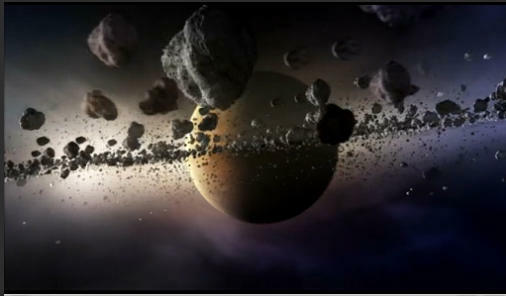 It included a young planet with 'dust' forming around it. Not sure if it was the real deal or CG but for what it's worth I took a screenshot. Very cool shot. Most definitely an artists interpretation. I've been meaning to get back to it and finish it. My idea was then to make the scene available for others to pick apart. I've been sidetracked trying to do a couple other projects as well. Definitely an artist's impression. The very best we can do right now with our most powerful telescopes is detect tiny bobbles in a star's light when an orbiting planet passes in front of it. The next generation of space telescopes might be able to directly see a very large planet (much bigger than Jupiter) around a moderately close star, but actually imaging Earth-sized planets are definitely out for the foreseeable future. Stars simply emit too much light - and most planets do not. As an experiment, use some sort of anti-gravity to hover a pea (no cheating and leaving it in the pod, either!) 2 to 4 inches away from a 120 watt incandescent light. Go several blocks away and turn around. Can you see the pea? If so, turn around and walk another mile. This isn't a fair experiment, because you would have to walk beyond the moon, perhaps beyond even Pluto before you'd be at the proper scale distance. light does not, and can not bounce. Just sayin'. it reflects, refracts, travels, etc., but bouncing is one thing it cannot and will not do. Sorry. Just kick me later, okay? Hey, you'd be surprised to learn that the tiny stuffs that make up light and other things actually cheat when we're not looking. We'll I'm twisting science a bit as it's seemingly only electrons that has this odd way of doing one thing when you look at it and doing another when you're not looking at it. By looking I mean recording data. But if you can't trust electrons you can't trust any of them I say. Hah, science is driving me mad trying to understand the concept of reality popping in and out of existence as needed. An illusion they say. It's all just smoke and mirrors. Kind of makes you giddy doesn't it? Lol.